1. Was Max the architect of his own downfall? 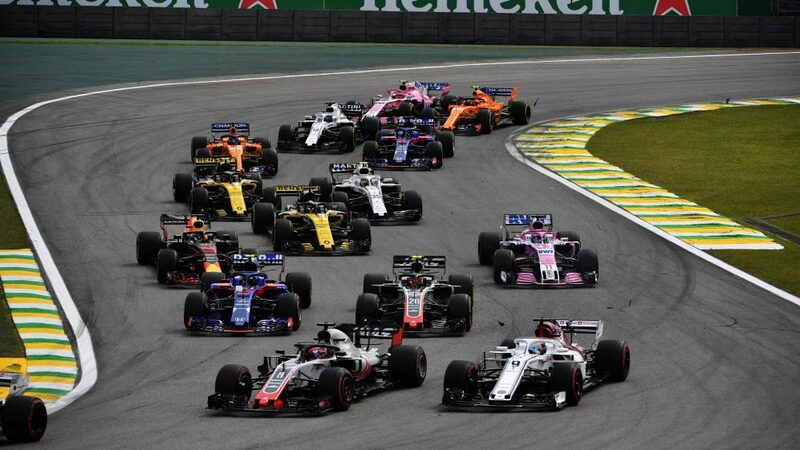 So, Esteban Ocon dived round the outside of Max Verstappen while unlapping himself in the Senna S on the 44th lap, and caused the collision which lost the Dutchman victory in the Brazilian GP. Consider this: Esteban had pitted on the 40th lap for a set of new supersoft tyres, while Max was running on a new set of softs which he’d taken when he pitted on lap 35. So the Frenchman was on tyres that had done four laps and were one compound softer and therefore faster, while Max’s tyres had done nine laps. Max’s 43rd lap had occupied 1m 13.116s, Esteban’s 1m 12.876s. He was entitled to overtake, should that prove possible. It had, in that corner, on seven previous occasions as he clawed his way from 18th to 10th. And it almost did this time. By the time they got to the right-hander of the Senna S, Ocon had the inside line and they were side-by-side when Max turned in. More than one experienced driver/observer to whom I spoke with suggested that had Max opened the steering just a little he could have avoided a collision and still repassed the Force India. Was it their past history in Formula 3, where Esteban beat him, that prompted Max to try and make a point? 2. Were the FIA stewards lenient? In a statement explaining their verdict on the post-race altercation involving Ocon and Verstappen, stewards Emanuele Pirro, Silvia Bellot, Tim Mayer and Felipe Giaffone made it clear as experienced observers (and in the case of Pirro and Giaffone, competitors themselves) that they understood Verstappen's feelings. 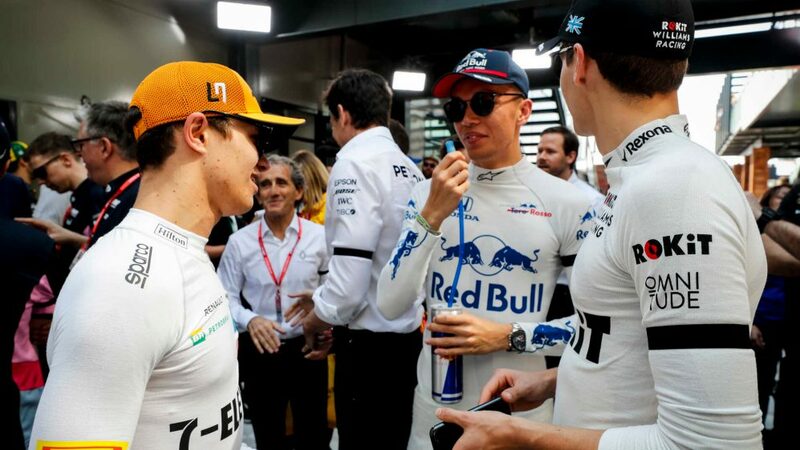 "Max Verstappen entered the FIA Weigh Bridge Garage, proceeded directly to Esteban Ocon and following a few words, started an altercation, pushing or hitting Ocon forcefully several times in the chest," they said. "The stewards understood from Max Verstappen that he was extremely upset by the incident on track during the race and accepted his explanation that it was not his original intent to strike Ocon, but that he was ‘triggered’ and caused him to lose his temper. No further action was taken against Ocon, but it was generally expected that Verstappen was going to get the book thrown at him, and might face a grid penalty in Abu Dhabi at best, and possibly even a race ban at worst. We haven’t seen physical behaviour from an F1 driver in a while. Back in 1982 at Hockenheim, Nelson Piquet was leading the German GP and had come up to lap Chile’s Eliseo Salazar, they tangled and both retired. The irate Brazilian attacked Salazar, who perhaps wisely kept his helmet on. A year later, upstart F1 rookie Eddie Irvine had unlapped himself on the great Ayrton Senna during the Japanese GP at Suzuka, before Senna reasserted himself. Later the Brazilian went down to the Jordan hospitality unit to have a word, and ended up throwing a less than convincing punch at the insouciant Ulsterman, when the latter suggested that the reason he had repassed the icon was because at that particular point he wasn’t driving fast enough. Neither incident really amounted to much, to be honest. Neither was an all-out slugfest, like they used to have in midget and sprint car races over in the USA. 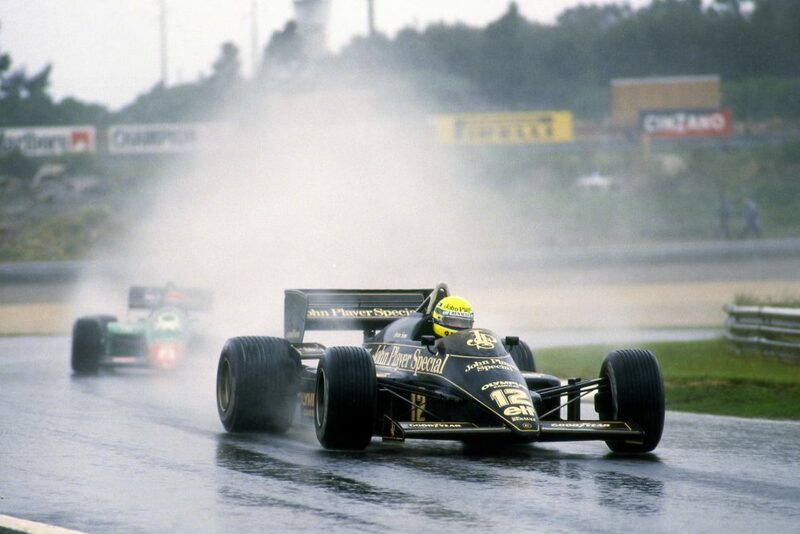 But on one occasion at Spa, Nigel Mansell had taken Senna by the throat, and later at Magny-Cours Senna did likewise with Michael Schumacher. And after the German had taken Derek Warwick off in practice for a sportscar race at Nurburgring in 1991, the man who went on to become a seven-time world champion was extremely fortunate not to have been caught when pursued by the incensed Briton. In a Formula 3 race at Crystal Palace back in 1970, upcoming James Hunt felled fellow competitor Dave Morgan with a blow after they clashed on the final lap, and later did likewise to a marshal who unwisely laid hand upon him while trying to help him away from the wreckage of his McLaren during the 1977 Canadian GP, where Hunt had collided with team mate Jochen Mass. Adrenalin still flows in a floodtide at such moments, as the unfortunate marshal discovered. Perhaps the most well-publicised incident of motorsport fisticuffs occurred the day after the controversial Indianapolis 500 in 1963, when Parnelli Jones won despite his car liberally coating the track with oil from a leaking tank. In his first visit to the Brickyard, Scottish star Jim Clark should have won for Lotus but because of the oil had to settle for second place. Eddie Sachs, the much-loved Clown Prince of Racing, spun out on Jones’s oil, and raised the matter with him the following day in the foyer of the Speedway Motel. A hard man raised in the unforgiving bullrings and dirt tracks of the sprint car world, Jones warned Sachs a few times to zip it, before knocking him out. Sachs, ever the humorous self-promoter, had his photo in the next day’s papers, lying supposedly unconscious, with a rose in his lips. He and Jones would later laugh about the incident. It’s easy to say that luck played a big part in Lewis Hamilton’s 10th win of the season, because Verstappen’s tangle took him out of a lead he wasn’t otherwise going to lose. But that wouldn’t tell the story straight. 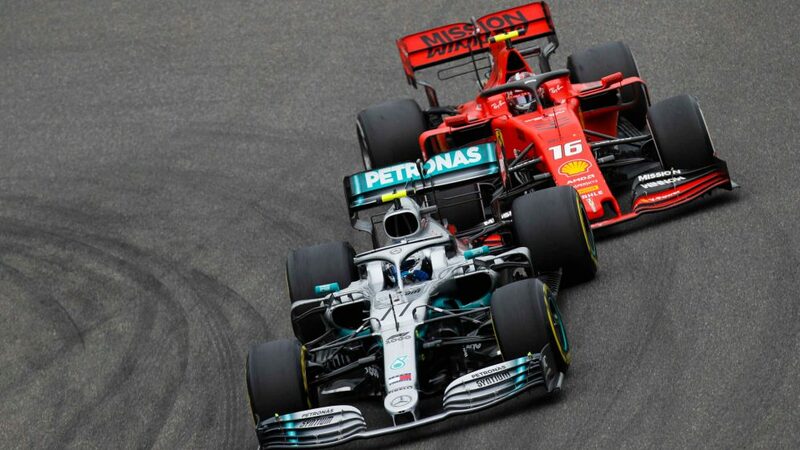 It was more that Mercedes lucked in, because they made things difficult for themselves by pitting Lewis eight laps sooner than Sebastian Vettel and 16 sooner than the Red Bull driver, and at least a lap earlier than he himself had wanted. 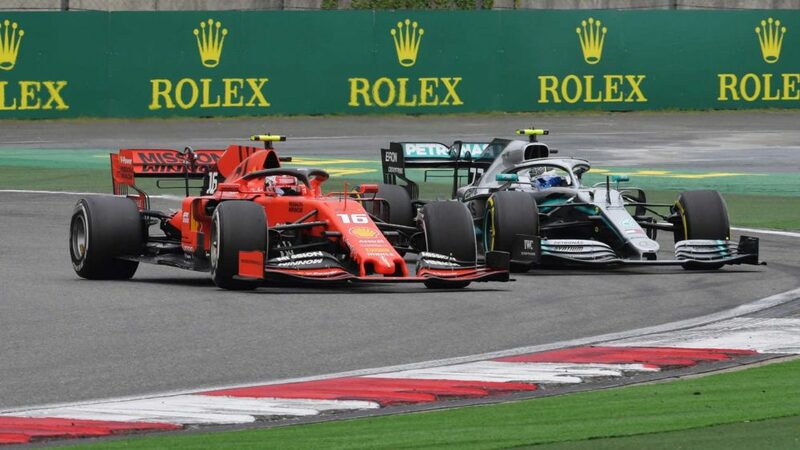 And though Hamilton might only have regained the lead he’d held at the start because of Max’s misfortune, he sure as hell had to fight mighty hard to keep it, not least because his tyres were accordingly much older than his rivals’. 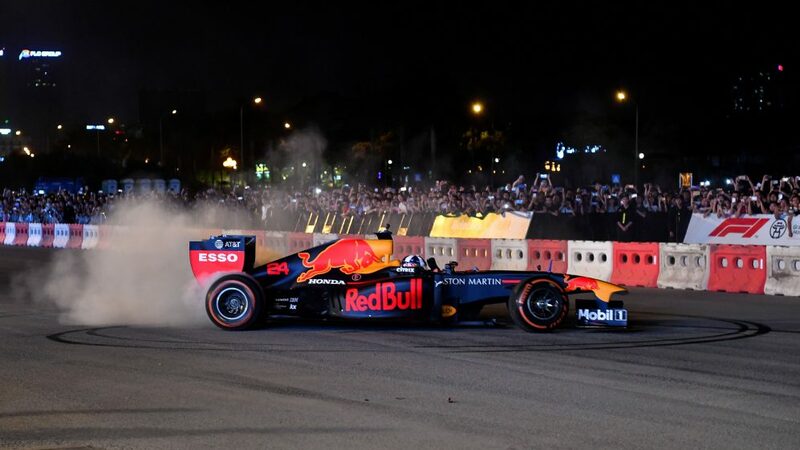 He had an engine in which the power was occasionally dropping out, and it only emerged later on Sunday night that at one stage engineers predicted that it was within a lap of failure as its exhaust temperatures were sky high. Judicious management of settings, allied to some fine work in the cockpit from recently-crowned world champion, somehow kept it going to the flag. And those worn medium tyres were no match for the Red Bull’s much fresher softs. “That was definitely a very hard race for us!” Hamilton admitted. “I did get some blistering on the first set of tyres but felt like I was able to just keep Max at bay. But on that hard tyre I was struggling to do the same times as they were. “Max came out of the pits within a couple of seconds, so I knew he would come past, but I also knew that my tyres had to do a very long stint, so I was flat-chat trying to manage them. And my car was short of power for a lap, too, so he came flying by. Arguably, it was one of his best wins on a personal level. After all his on-track dramas in 2018, Sebastian Vettel had another setback in Q2 at Interlagos that could have had much more serious repercussions. Every driver runs the risk of random weight checks during sessions, and he happened to be the victim this time. 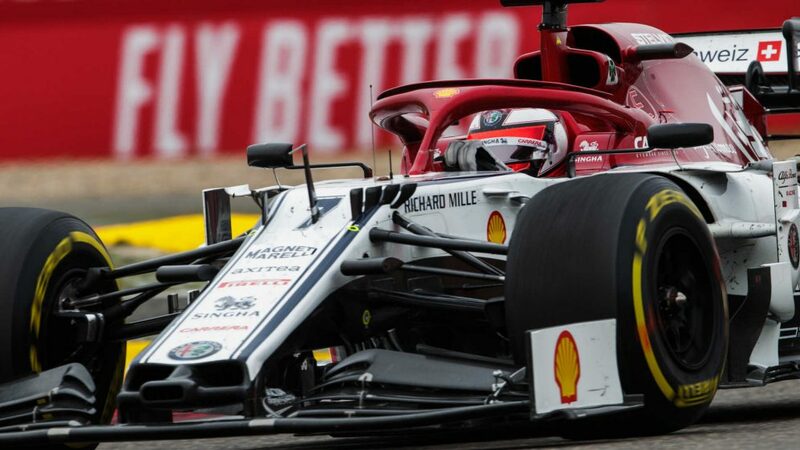 According to FIA technical delegate Jo Bauer, he refused to switch off the Ferrari’s engine initially when called on to the scales, which risked skewing the weight check, then accelerated off them instead of waiting to be pushed off, which resulted in said scales being spat out from beneath his Ferrari’s wheels and having to be recalibrated. 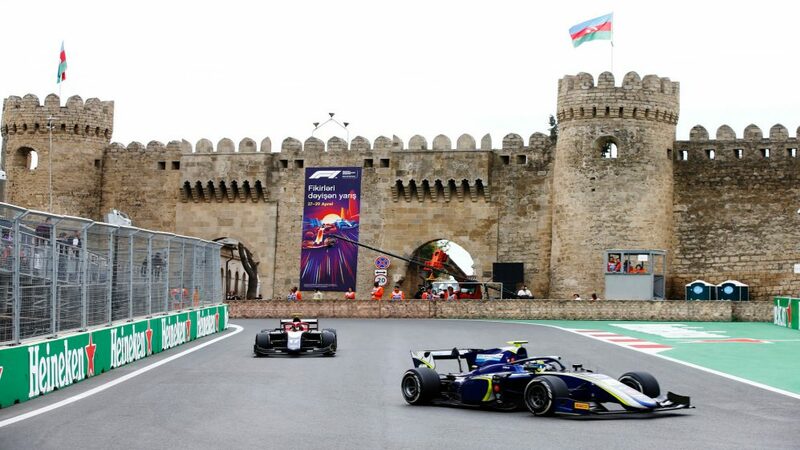 The failure to obey an FIA official was seen as a serious matter and for a while he seemed likely to be sent to the back of the grid, or even made to start from the pit lane. There was thus much surprise when he was given his first reprimand of the season and a fine of 25,000 euros. If nothing else, it was further confirmation that, under pressure, he is vulnerable to letting his temper sometimes get the better of him. 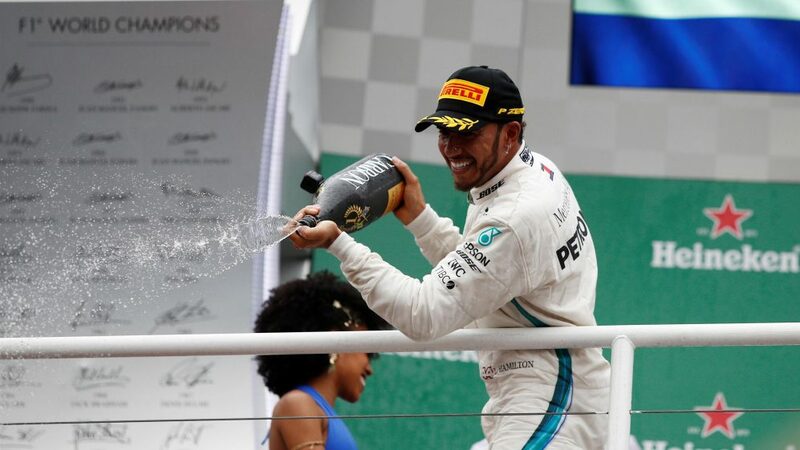 En route to claiming his second to fifth world titles, Hamilton has won 50 of the 99 races since the turbo-hybrid formula was inaugurated in 2014. That’s a stunning strike rate. 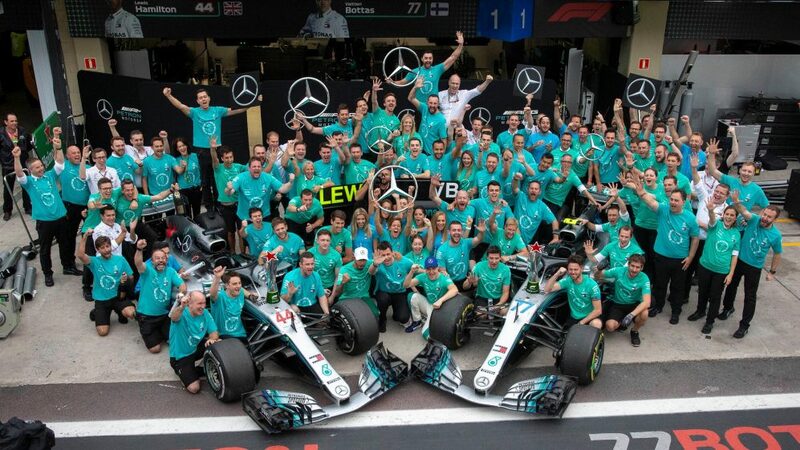 But his Mercedes team have done even better. They have won all five world championships for their drivers, courtesy of Hamilton in 2014, 2015, 2017 and 2018, and Nico Rosberg in 2016. But on top of that they have also won all five world constructors’ championships. No matter how you cut and slice that, it’s impressive, though still just behind Ferrari’s record of six consecutive titles between 1999 and 2004. Chapeau, Toto, Niki and tribe! Charles Leclerc was not happy as Q2 drew to its conclusion. He was 11th in the Sauber and, having set the initial pace with 1m 08.736s, had then spun in Turn 4. Then he was unhappy that his car had not been fuelled to do enough laps. That was quickly rectified but cost him time, and with just under two minutes of the session remaining he looked to be out of Q3 as team mate Marcus Ericsson was P8 on 1m 08.579s. 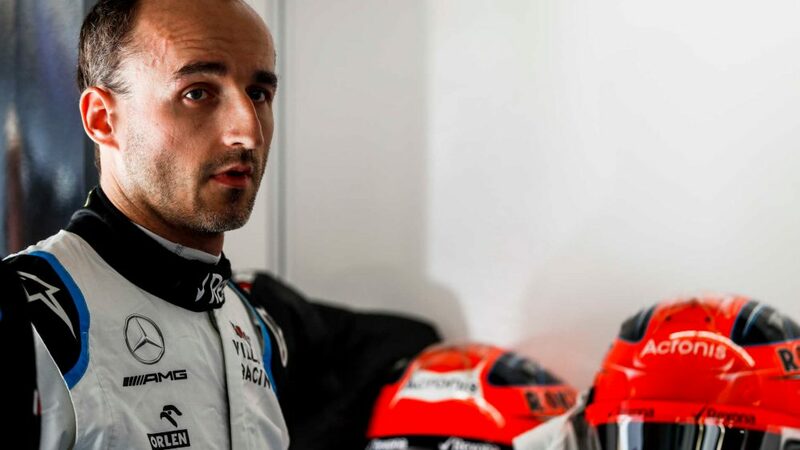 At that point Leclerc joined Sergio Perez, Esteban Ocon, Nico Hulkenberg – and his 2019 team mate Sebastian Vettel – for one last push. It had started raining in Turns 13 and 14, and it was a little damp in Turn 1, too. As a result nobody went quicker – except for Leclerc. His lap of 1m 08.335s was one of the laps of the season, and moved him to eighth at Kevin Magnussen’s expense and thus into Q3. It was a truly sensational performance that bodes extremely well for the likable Monegasque’s future. Especially as Vettel aborted his own lap without ever looking like improving, despite being in a Ferrari with far more downforce than the Sauber. Ultimately, that lap laid the foundation for an excellent seventh place. With Kimi Raikkonen’s imminent arrival at Sauber, and the late Sergio Marchionne’s insistence that Antonio Giovinazzi also have a seat, there’s no room left for Marcus Ericsson. I often chuckle when I remember how the Swede once overtook the Finn in the Malaysian GP in 2014 – in a Caterham! You could almost see the ‘what the?’ bubble over Kimi’s head as the metallic light green car sped by his red Ferrari. I think Ercisson has been doing a pretty decent job in the second half of the year. 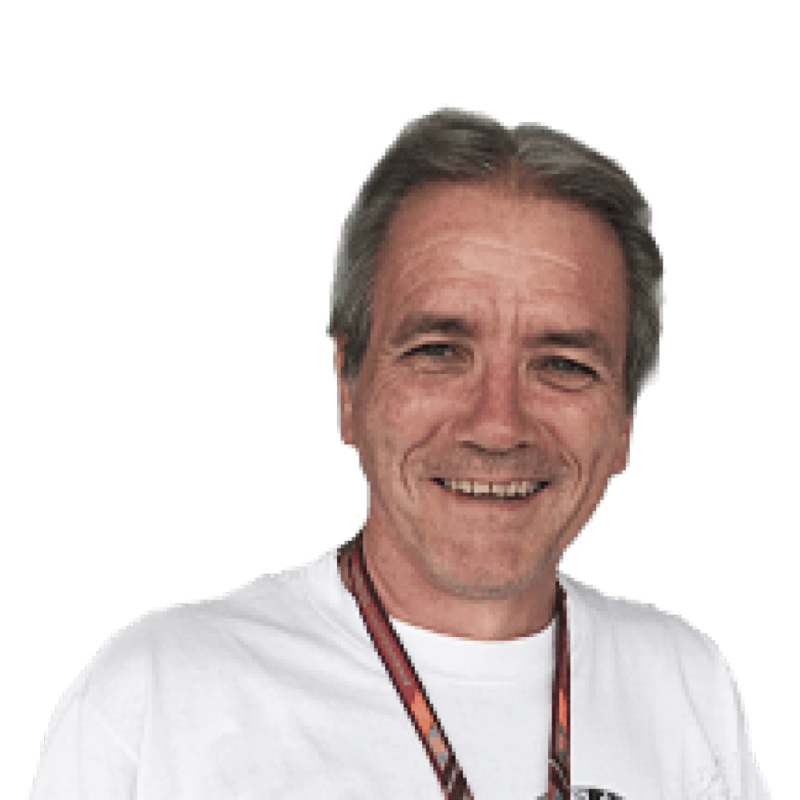 Team boss Fred Vasseur says that he helped Leclerc to get up to speed early in the season, and the two have kept one another honest thereafter. But Ericsson has generally been outshone by his team mate, and that was a shame in Interlagos, where the five-year veteran out-qualified the young star with a superb lap of 1m 08.296s to 1m 08.492s. He was going well in the race, too, until contact from Romain Grosjean led to damage that made his C37 undriveable. I think Marcus has been underrated this year, and wish him luck when he switches to IndyCar next year with Schmidt Peterson Motorsports. 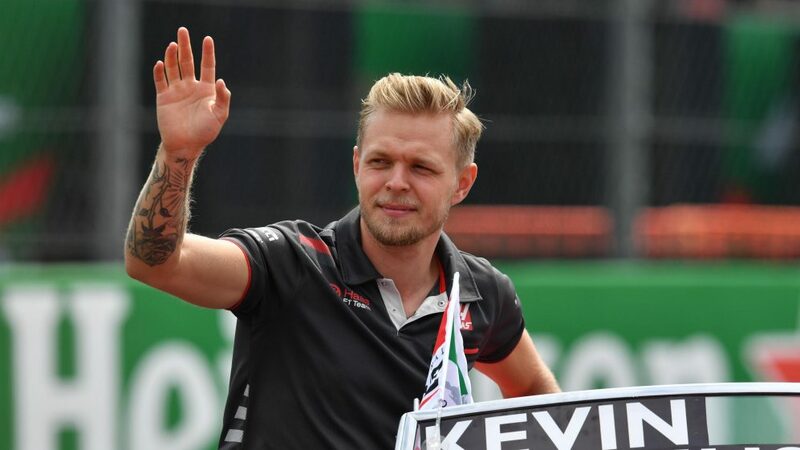 One of the things I like most about Kevin Magnussen is that he’s definitely Old School. Together with the Franchitti Brothers and Karun Chandhok, he loves the history of our sport as much as we need, and knows a lot about it. During his recent travels in north and central America, and via his Haas connections, he drove a sprint car – because he wanted to. And he had former midget, sprint car, Indycar and NASCAR champ Tony Stewart on hand to help. Tony said he was a quick student, and he lapped the Carolina Speedway track in Gastonia within half a second of the American in the 6.7-litre methanol-breathing beast. “As a Formula 1 driver we definitely prefer not to be drifting the car,” said Magnussen. “In the sprint car, you try and really drift almost the whole lap. You’ve got as much downforce when you drift, or even more, than in a straight line. That’s very different to what I’m used to. Then, obviously, driving on dirt is something I’ve never done before. I just loved the whole experience. You sit on it like a John Deere, yet the thing has around 800 horsepower. 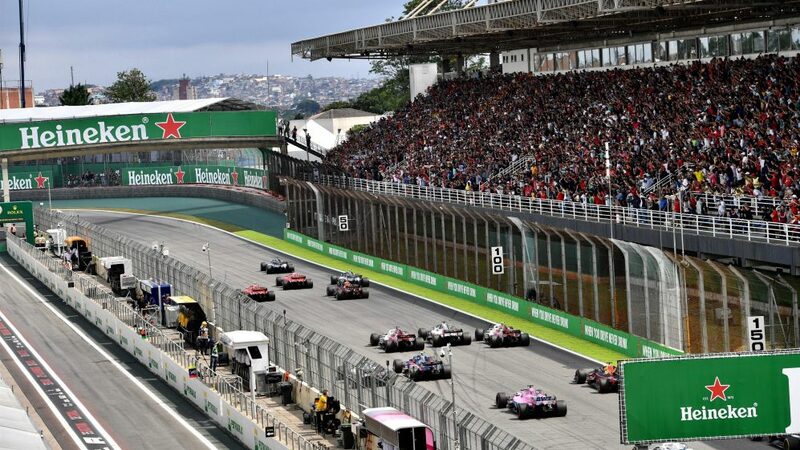 Interlagos is said to have been inspired by the old Long Island Roosevelt Fields track, adapted to fit within the lakes to the south of Sao Paulo. But it had the advantage that the topography obliges it to undulate dramatically. Those who were covering F1 in the old days of the full circuit still speak in awed tones of it, especially the first corner which was a very long, very fast left-hander. 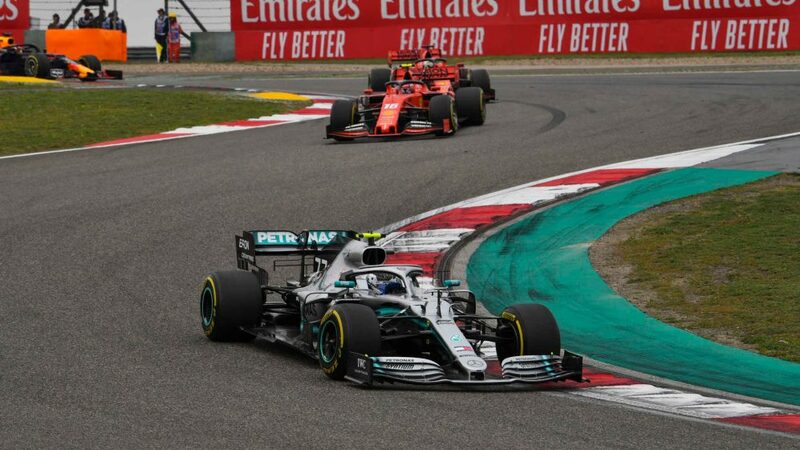 These days it’s one of F1’s shorter tracks, with qualifying lap times below 1m 8s, but together with Spa and Hockenheim it’s one of the most successful ‘truncated’ circuits because the changes did not materially affect the challenge it represents. Small wonder the drivers love it.